How about a Hotel on Kids theme? Nickelodeon comes up with a solution. 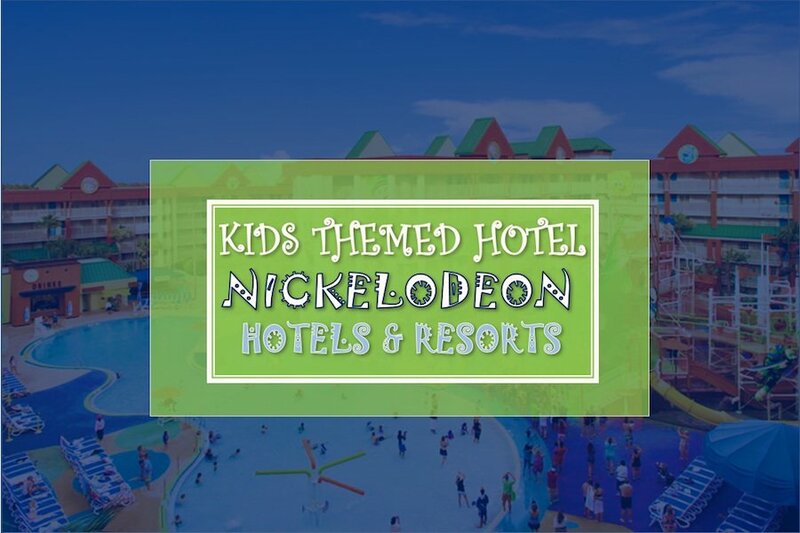 Nickelodeon Hotel & Resorts are a treat for everyone and a delight for the kids. They have a lot of Kids themed hotel and resorts. In this article, we focus on a few of them especially on the new ones of the category already opened in Punta Cana and another one opening soon. A couple of years ago, Nickelodeon, along with Karisma Hotels & Resorts, announced their first Punta Cana hotel. Right from the outset, Nickelodeon Hotel and Resorts Punta Cana is quite breathtaking a sight. The Hotel at Punta Cana has been a huge success with all the facilities your kids might have longed for. There are endless excitement and Fun. And, there is a peculiar sort of Penguin rooms for families of up to 6 members with lots of surprises, infinity pool, patio and a lot more. They recently announced the parties would open a themed property in the area of Riviera Maya, Mexico by 2019. Nickelodeon Riviera Maya would be another treat for kids and families. Nickelodeon, a Viacom Media company, has always been synonymous with all things children-themed, from TV Shows like SpongeBob SquarePants and Movies to restaurants and everything in between. When they made a foray into the hospitality industry (or rather the hotel industry) a decade ago, every kid across America and around the globe was full of excitement. Of course, their pioneering establishment came in the form of Nickelodeon Suites Resort in Orlando, Florida. This whimsical all-suites hotel and resort featured an incredible 777 sizzling suites that – as you’d expect – were elaborately decorated in the theme of SpongeBob SquarePants and other funny characters in the show. The resort itself is a huge complex that was once Holiday Inn Family Suites prior to undergoing rigorous $25 million-dollar overhaul that saw the introduction of two massive, fully-equipped water parks and large 3000 sqft arcade. If reports are to be believed, the hotel, however, is being rebranded back to Holiday Inn after the partnership of Nickelodeon with Karisma Hotels has ensued a series of hotels. The Hotel in Orlando has been a treat to the kids and families. The Loews Sapphire Falls Resort is a competition in this segment but Nickelodeon resorts are making ample efforts to stay ahead in the race. And those weren’t the only tantalising amenities and features that made Nickelodeon hotel the talk of Orlando and the entire hospitality spectrum. Besides Oasis pool and Lagoon pool, the resort boasts 4D Dream Theater, lush green golf course, themed event venues dotting around, multilevel basketball court, and a raft of buffet restaurants. As if that wasn’t fantastic enough, the Nickelodeon hotel in Florida hosted two nightly Nickelodeon shows right from the location. First of the hotel that opened after Nickelodeon Hotel and Resorts partnered with Karisma Hotel was at Punta Cana. If you are looking to ensure that your kids have the best times while on vacation then also look at our post on Best Disney Hotels in California. This kids themed hotel treats kids as their main customers. If kids love it, Parents have a gala time as well. Karisma Hotels & Resorts have teamed up for the second of its kind Hotel by Nickelodeon. Gerald Raines, Viacom International Media senior vice president of global recreation, said the response to Nickelodeon Hotels & Resorts that combines playfulness and luxury has been overwhelmingly positive. SpongeBob Squarepants Leonardo of the Teenage Mutant Ninja Turtles and Dora the Explorer attended the opening ceremony in the year 2017. This means youngsters can be greeted by their favourite animated personalities at the Character Central. The property also includes a theatre – Studio Nick – as well as a kid’s hangout called “Just Kiddin’”, a kid’s spa and surprise slimings. As for accommodations, the resort focuses primarily on the family segment with nearly 300 infinity and swim-up suites with their own private balcony and terrace. The Punta Cana property just unveiled its Pineapple Villa created on the house from the SpongeBob SquarePants show. As for dining, there are going to be two oceanfront eateries, a food truck experience with nearly a dozen culinary options to choose from and four bars and lounges for an excellent culinary experience. A great hospitality experience is for the taking for sure. Reservations for the Nickelodeon Hotels & Resorts Riviera Maya is set to begin in early 2019 with stays beginning later in 2019. So, if you are planning to visit Mexico with kids, you now know where to stay for the best experience. 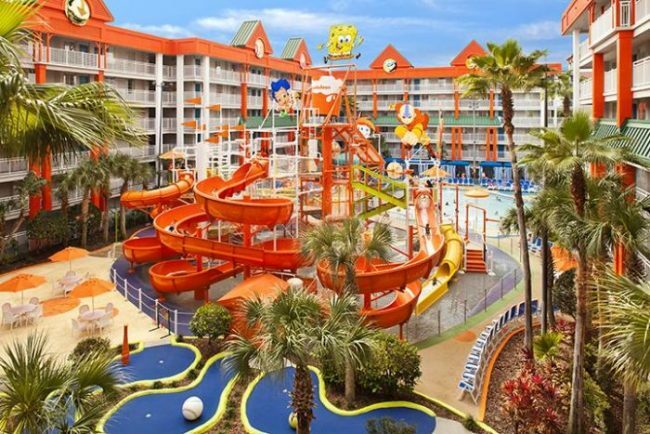 As Nickelodeon hotel in Orlando, Florida, enjoyed massive popularity, Nickelodeon decided to extend its themed-hotel approach to Punta Cana, the Dominican Republic in partnership with Karisma Hotels and Resorts. The resort features three sizzling classes of suites – Pad, Swim-Up, and Flat Suites. Pad Suites offer a cosy and comfy abode for small families of up to 3. Each “pad” boasts one king bed or two double beds, dining room, large flat TV screens, large marble bathrooms, pay area, freestanding tub, and luxurious balcony with spacious relaxation area. Of more acclaim, however, is Nickelodeon Hotel’s Swim-Up Pad Suites. Each suite offers a wrap-around terrace that links up to a large pool, rendering a VIP feel and look. They also feature king-size beds, oversized marble bathroom, large smart TVs, and much more. Explore more and Plan your Trip at the Official Webpage of the Nickelodeon Hotel and Resorts in Punta Cana. Look at our list of the Best Travel websites for competitive prices. When you aren’t enjoying the waterparks, arcades, large pools, and other amenities, you can kick back and get pampered in Nickelodeon Hotel and Resort Spas. Get relaxing massages and other top-notch aromatherapy sessions. Nickelodeon Hotel features a scintillating gourmet restaurant that boasts Michelin-starred chefs who will whip up the best cuisines you’ll ever taste. This hotel and resort that’s a class apart from the rest have the best staff; they are attentive, friendly, and are always at guest’s disposal. It comes as no surprise that many people in the hospitality industry are seeking Nickelodeon Hotel careers. Keep coming back to this Global Hospitality Portal to stay updated on latest from the hospitality industry.